- Meet at Casablanca then transfer to your Casablanca hotel. - Tour to visit the sighseeing in Casablanca and Rabat. - Full day of sightseeing in Meknes & Volubilis then transfer to Fez. - Full day touring Fez sightseeings & Historic attractions. - Overnight in your hotel in Fez. - Depart to Marrakech viewing the High Atlas Mountains landscapes. - Arrive Marrakech and overnight in Marrakech hotel. - Full day of sightseeing in Marrakech famous attractions. - Overnight in Marrakech hotel. - Morning at leisure time in hotel or optional activity. - Afternoon transfer to Casablanca & overnight. - Check out from after breakfast for your flight to Cairo. - Meet at Cairo airport then transfer to your hotel in Cairo. - Revise itinerary with our Rep, Check in & overnight. - Breakfast, trip to Giza Pyramids, Egyptian Museum & Old Cairo. - Back to hotel and overnight in Cairo. - Morning transfer to Cairo airport to fly to Luxor. - Meet at airport then transfer to board Nile Cruise before lunch. - Afternoon trip to Karnak and Luxor temple in East Bank. - Back to cruise, dinner and overnight onboard in Luxor. - Morning trip to Valley of kings, Hatshebsut temple & Memnon Colossi. - Lunch, sail to Edfu with leisurely dinner and overnight on board. - Breakfast then morning trip to Edfu temple and return to cruise for lunch. - Sail to Kom Ombo and stop there for short trip to Kom Ombo temple. - Dinner and overnight onboard cruise sailing to Aswan. - Morning trip to High Dam, Philae Temple and the unfinished obelisk. - Back to cruise for lunch, dinner and overnight onboard cruise. - Breakfast, disembark cruise and transfer to Aswan airport to fly to Cairo. - Meet at Cairo airport then transfer to hotel for overnight stay in Cairo. - Check out after breakfast in hotel. - Transfer to Cairo airport to fly back home. Volubilis is the site of the largest and best-preserved Roman ruins in Morocco. Dating largely from the 2nd and 3rd centuries AD, excavations have revealed that the site was originally settled by Carthaginian traders even earlier. It was not until the latter part of the 19th century that the site was definitively identified as that of the ancient city of Volubilis. Tinghir is an oasis about 30 Km long & about 4 kilometers wide. The climate is arid subtropical: hot, dry winters in relation to altitude (1,430 m). There are a few rainy days per year, with the greatest precipitation in fall & winter. The name originally referred Tinghir the mountain "IGHIR" which meant the shoulder Tamazight, but it has gradually expanded. Rabat is one of Morocco's outstanding tourist attractions. It was founded as an Arab army outpost in the 12th century and given the generic name for military encampment, Ribat, which is still in use today. It is Morocco's political administrative capital & the official residence of the King. All ministries and embassies are located in Rabat. Ouarzazate is in the midst of the desert and is the point of departure for the oasis and the Deep South, that's why the city of Ouarzazate is one of the most fascinating Moroccan travel destinations. It is a small if neat little town used essentially as an outpost to the great Moroccan desert with its large craft of new hotels. Mohammed V was the sultan of Morocco for 2 periods 1927 to 1953 & 1957 to 1961. The Mausoleum was completed in 1971, contains the tombs of the Moroccan King Mohammed V and his 2 sons, King Hassan II and Prince Abdallah. Midelt is a town in central Morocco, in the high plains between Middle Atlas and High Atlas mountain ranges. Situated on the main road between Fes & Meknes to the north & Errachidia to the south. Midelt functions as the market for an agricultural area extending from the Moulouya River to Jbel Ayachi, bounded on the east and west by dry plains. Merzouga is the gateway to this spectacular oasis, it is a tiny village, but does have general stores, a mechanic and of course a couple of carpet shops where visitors can ride camels through the dunes and taste Berber food while spending peaceful nights in tents and gazing at the star-filled sky. Meknes is a city in northern Morocco, 130 kilometres (81 mi) from the capital Rabat and 60 kilometres (37 mi) from Fes. It’s also more laid-back and less hassle but still awash with the winding narrow medina streets and grand buildings befitting a one time capital of the sultanate. Morocco's top destinations for tourists. The best places to visit in Morocco include the imperial cities of Marrakech, Fes and Meknes. Morocco is also famous for its beaches and some the best seaside towns are represented by Essaouira, Tangier and Asilah. Natural wonders of Morocco include the Atlas Mountains the Sahara desert and the Dades Valley. Hundreds of people from outside of Morocco come to Kasbah des Oudaia because of its shoreline and its picturesque views. You will notice that there is quite a bit of repair work being done on the old buildings and houses near the beach. The Kasbah of the Udayas is a kasbah in Rabat, Morocco , which is situated near to the Atlantic coast. Fes is Morocco's oldest Imperial city and its "old town" is now a UNESCO World Heritage site. Fes el Djedid is the new Fes, built by the Merenides in the 13th century. Fez has retained its status as the country's cultural and spiritual center. Its principal mosque is the holiest in the country and governs the timing of Ramadan and other Islamic festivals. Erfoud is an oasis town in the Sahara Desert, in the Meknès-Tafilalet of the Maghreb region in eastern Morocco. While many Ksars (fortified villages) have existed for centuries, Erfoud was built new by the French around 1920's. Erfoud is a good place to stay and explore local destinations. Casablanca may be the cosmopolitan, industrial and economic heart of Morocco, It is also the biggest city in the Maghreb region, but it is one of the less endearing of the country's sights. Casablanca hosts headquarters and main industrial facilities for the leading Moroccan and international companies based in Morocco. Aït-Benhaddou is a city in Morocco, situated in Souss Massa Drâa on a hill along the Ounila River and is known for its kasbahs, although they take damage with each rainstorm. The town itself is the main attraction, with mud buildings climbing up the side of the hill. The Granary at the top of the hill is impressive and well worth the effort to get up there. Combined Morocco and Tunisia Tours. Escorted Morocco Tunisia Tours to Fes, Meknes, Marrakech, Carthag, Tunis & Souss. Book Morocco and Tunisia Tours Package and Wander Most of Tunisia and Morocco Tourist Attractions and Sightseeing Places. Book Jordan Vacations 6 Days. 5 Nights Vacations in Jordan to Wander Jerash, Dead Sea, Amman, Wadi Rum Safari & Petra Jordan Vacation Packages. Book and Enjoy Touring Most of Jordan Sightseeing Places in Comfort and at Reasonable Rate. Enjoy Egypt and Jordan Luxury Tours 8 Day. Luxury Tours Egypt Jordan to Cairo, Giza Pyramids, Wadi Rum, Nile Cruise Egypt & Petra. 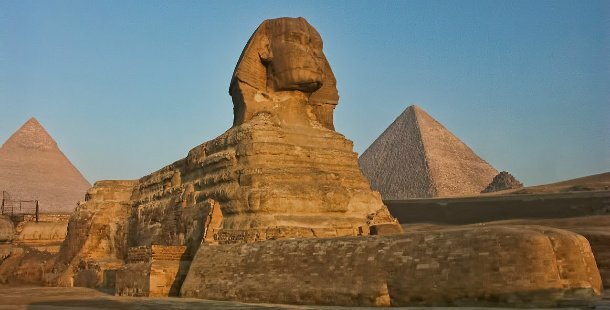 Book Best Egypt and Jordan Tours 7 Nights Escorted Egypt and Jordan Tours to Wander The Best of The 2 Countries in Luxury. Book 5 Day Tour of Jordan. Private Jordan 5 Day Itinerary to Madaba, Mt. Nebo, Jerash, Ajloun, Petra, Dead Sea & Wadi Rum. Book Jordan Travel Package and Spend 5 Days in Jordan Touring Top Attractions With This Budget Jordan Travel Deal. Well Selected Package Holidays to Marrakech, Budget and Luxury Marrakech Package Deals, Private and Group Marrakech Package Holidays, It is the largest city in Morocco with more than one million people and one of the most interesting cities in the kingdom. Is there any cheap Morocco tours? Morocco tours budget?. Is there a possible way to enjoy Morocco cheap travel package? The answer is yes, of course! There are many ways to enjoy cheap morocco vacation packages. Awesome Morocco Sahara Desert Holiday, Browse Range of Best Sahara Desert Tours Morocco. For An Amazing Morocco Adventure Desert Tours. Sahara is the largest desert in world 9,200,000 square kilometers extends from Egypt in the East to Morocco in the West.